My fourth outing with Dirk Pitt adventures. With this man, almost anything is possible. The tagline for describing Dirk Pitt character. 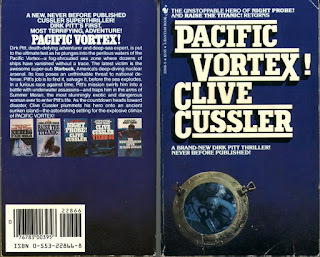 Dirk Pitt finds a communication capsule, and reads the content and understands that it is from the US submarine Starbuck. Pitt is asked by NUMA (National Underwater Marine Agency) to work with 101st Salvage fleet to recover Starbuck. The place is notorious for disappearance of many ships and it is named as "Pacific Vortex". A friend of Pitt, George Papaaloa who works in Bernice Pauahi Bishop Museum of Polynesian Ethnology and Natural History narrates about the mythical island and legend of Kanoli, "When the south wind blows The mountain of Kanoli is seen And the summit seems peopled" . He further tells that shortly after the end of World War II, a tall man with golden eyes came to the museum every day for a week and studied every book and manuscript in the library and he was also researching the legend of Kanoli. While Dirk was trying to solve the puzzle he was followed and the assailant tried to kill him. Pitt escapes and meets Admiral Hunter. From the thorough search there was no wreckage found and Pitt becomes suspicious of foul play. Later the transcripts was found to be fake. Pitt changes the search to north of Oahu island. A ship named Martha Ann they search and find the submarine. Pitt and March enter the submarine and they find nobody inside. While checking March gets killed by mysterious people and Pitt finds one crew member alive and escapes to Martha Ann. Pitt becomes aware that the communication is blocked. Later the ship is attacked by 200 people. Pitt fights and saves couple of ship crew and escapes in a helicopter. After this escapade Admiral Hunter's daughter comes to Pitt's hotel room and tells him about her lover Captain Cinana been killed. He remembers that he too was tried to be killed by a girl named Summer. Before Pitt and Adrian leave the hotel the villain of this story Delphi enters and subdues Pitt and takes Adrian as hostage. Unexpected help from a girl (Summer) Pitt escapes and narrates this to the Admiral. From his description of Delphi, a name arises, Dr.Frederick Moran who was tall and had golden eyes. He was an anthropologist and pacifist, his friends were respected men of science Dr.Lavella proficient in hydrology and Dr.Roblemann a renowned surgeon. The three of them died 30 years ago. The theory that Delphi/Dr.Frederick Moran wanted to create a underwater race using the sunken seamount. Dirk Pitt and his side kick Al and navy seals goes to the sunken seamount. 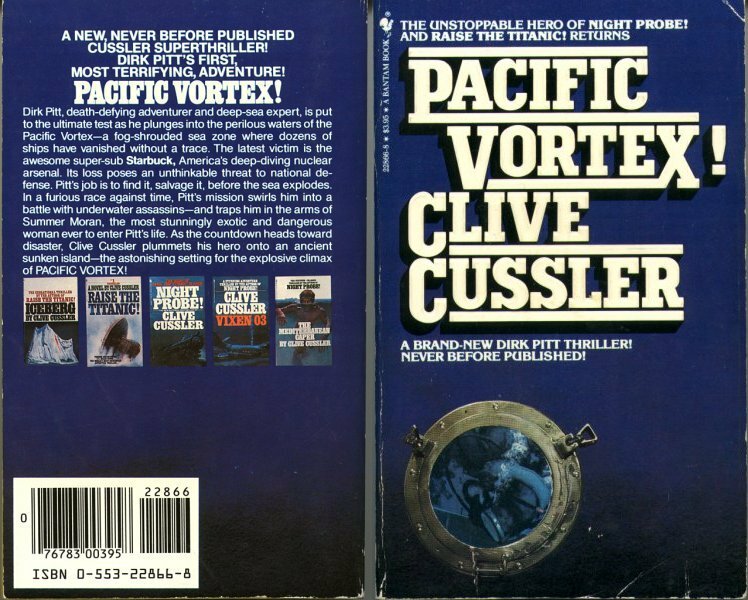 Did Dirk Pitt saved Adrian Hunter? what happened to Dr.Frederick Moran? Who is Summer? many of these plots are unfolded in the remaining chapters of the novel. When I started to read I had a feeling that the story is connecting James Bond to Bermuda Triangle. Later the author clears my doubt by saying a lot about other mysterious places in the sea. Fantastic storyline, page turner. I like to say about the two chapters which was exciting and tension filled. Pitt trying to escape from Martha Ann and car chase before meeting the Admiral. As usual one liner that I liked. Good Morning Mr.Pitt, Delphi said drily. The tone was courteous, but the hatred was manifest in the icy lines of the face. I regret your injuries, but you can hardly sue for damage, can you? i think this is his first book starring pitt. Yes it is. And one of CC's fan Walter Winterburn had given exhaustive details regarding this book. 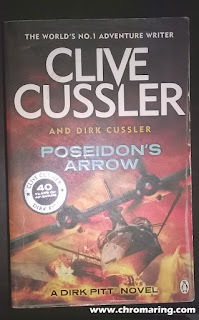 Clive Cussler did not publish it and after several years due to his near and dear, he published this novel.